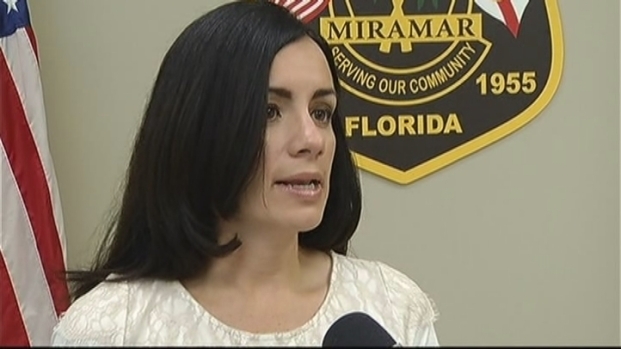 The home invasion happened around 5:50 a.m. at 4381 Southwest 126th Avenue, Miramar Police spokeswoman Tania Rues said. According to Rues, some people were inside the house sitting when they heard glass smashing and what sounded like gunshots. Some of the home's occupants opened fire, hitting one of the suspects who was taken to a nearby hospital. A second suspect was injured at the scene but not from a gunshot, Rues said. One suspect was shot and two others were in custody following a home invasion in Miramar early Friday, police said. Neighbors Tamia Jones and Lino Medina comment. A third suspect was detained at the scene. 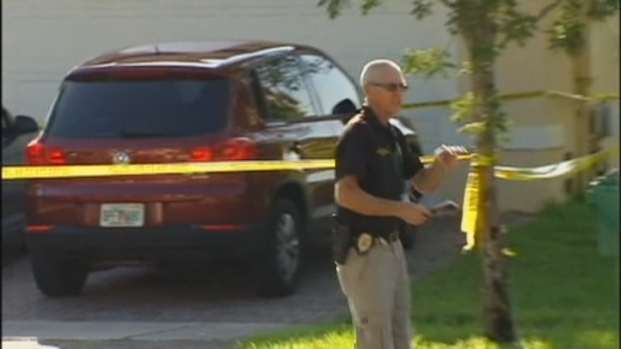 Neighbors said they were surprised to learn a shootout had taken place in the community. "I thought it was a car accident and decided to come out and check it out," neighbor Lino Medina said. "We heard before of other robberies outside this community and you know, it's crazy." Police are investigating after two men wearing police insignias and bulletproof vests made their way into a Miramar home early Thursday, stealing weapons and cash after beating up the homeowner. NBC 6's Claudia DoCampo reports. 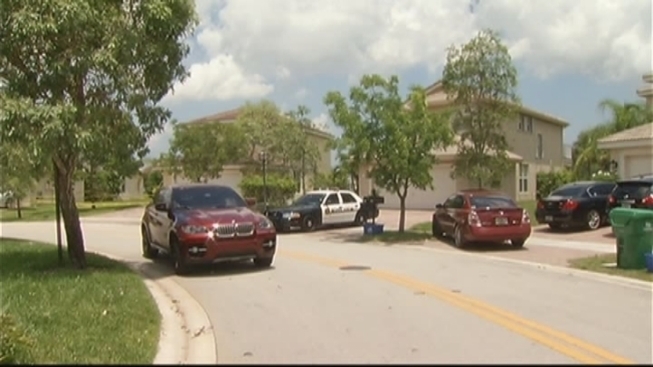 Rues said the incident had nothing to do with Thursday's home invasion at the Renaissance gated community at 2065 Southwest 117th Avenue where a homeowner was beaten. Police said one person was arrested and charged and further arrests are pending as they continue to investigate the incident.